Christmas Survey just for fun! Totally stealing this from these two blogs: The Hungry Runner Girl and my friend at Fit for a Year. Favorite Christmas Album/CD/Song? Love Amy Grant’s Christmas Albums/CD’s They are in my CD player until New Year’s Day! Run on Christmas morning or take the day off? Hopefully I will run sometime during the day. 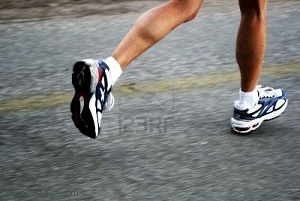 It will be my only day off that week so I would like to enjoy it with a good run. What do you usually eat on Christmas morning? Bacon, eggs, and cinnamon rolls but we will eat anything because we love breakfast! Favorite holiday or Christmas tradition? Each year I give my daughter a new ornament(or two or three ornaments) for her tree. Now after 18 years she has a full tree and she can use when she moves away in the future. Also Christmas Eve service with my family and a midnight service if we can find one. Real tree, fake tree or no tree? 5 fake trees put up Thanksgiving night or within the next few days after Turkey day! Christmas pajamas, yay or nay? Nay. Just stick to my old T-shirt for bed. Where do you spend the holidays, at home, with your parents, extended family, in-laws or friends? We spend Christmas morning at home opening gifts and then go over to our extended families home for dinner and more gift giving. What’s your favorite Christmas food? I love the desserts, hence the reason I run! My favorite cookie to bake all during this season are Ginger Snaps that are soft and chewy instead of snappy! Open presents all at once or take turns? We take turns. I love to see what everyone gets! Favorite Christmas movie? Love Elf, Home Alone movies and the Santa Clauses. Still trying to figure this out but I am certain that GU is not the option. Tried it and did not like it. Next up is shot bloks. I love the 10K but I think I can get use to the 1/2 marathon. Now I think I have finally decided to train for a full marathon. Let’s see how that goes! 3. Workout Bottoms: Skirts, Running Shorts, Capris, Pants, or Other? Running shorts!!! I don’t mind the capris when it is under 40 degrees but my legs get really hot! I will drink water when I run. Never very much but enough to keep me going. 5. Running temperatures: HOT or COLD? I grew up in the heat and I am so happy to be in the cold. I have never liked to run in the cold before this year. Nothing better than a 40 degree run! 6. Running Shoe Brands: Saucony, Mizuno, Nike, Brooks, Asics, or Other? Saucony is the only shoe for me right now! I get new ones about every three months and I can’t seem to venture away from them. 7. Pre-Race Meal: Oatmeal. Bagel, Banana, Eggs, Cereal or Other? If I am running early I eat half a toasted bagel with peanut butter. It has worked in the past so why change it. Late day races, I just eat pretty normal just nothing very heavy or full of fiber. I don’t feel like I ever rest but unfortunately due to my crazy schedule I get forced to not run (rest) at least 2 days out of the week. I feel like I really need music. I ran my half without music and it was painful towards the end. But really it comes down to where my head is. If I am in a good mood, no music is needed but if I am in a bad mood that is when the doubt creeps in. Stress-relief, endorphins, and really most important is so I can eat dessert! I love sweet things and I feel less guilty if I have made it to the gym or just gone for a run.